Choosing the Trucking Life: Top 5 Benefits of Being a Trucker | B.C.Freight. Corp.
Have you considered the truck driving life? Check out the top 5 benefits of being a trucker and get a glimpse of what it’s like to be a truck driver. 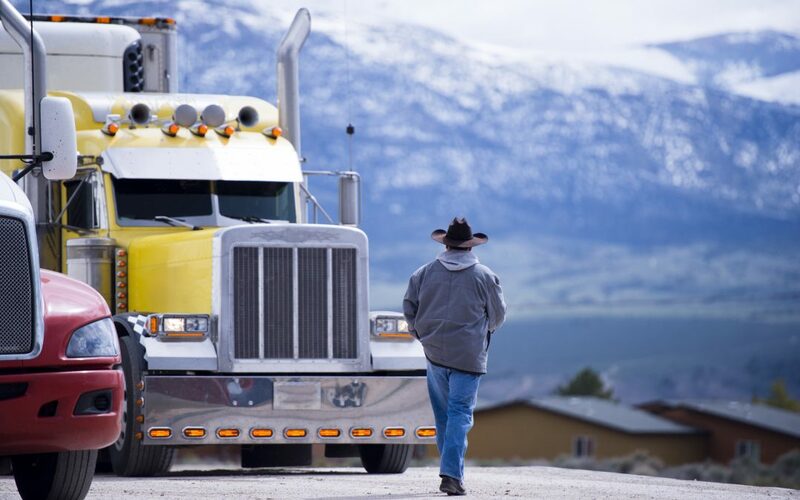 Have you ever wondered, “What’s it like being a truck driver?” With millions of companies in desperate need of drivers, it’s time to stop wondering and start driving! Truck driving is an extremely secure job with a number of unique benefits you won’t find elsewhere. Check out these reasons why you should consider being a trucker. Millions of companies ship millions of things to millions of locations, every day. There will always be a need for shipping services, so there is always a demand for drivers. Once you become a truck driver, there’s no reason you’ll ever be out of a job. As long as you drive safely and reliably, you have guaranteed job security. Truck driving is an entry-level position. It does require training, but no experience is necessary. And the training isn’t much to worry about, either. Since the demand for drivers is so high, many trucking companies will provide job training for free. And if you do have to pay out of pocket, plenty of driving schools have very low tuition costs. The trucking company you apply for may even reimburse your tuition costs. For being an entry-level job, drivers are very well-compensated. You likely start at around $35,000 per year or more. But the national average U.S. truck driver salary is $73,695. You’ll also receive benefits and very good pay raises. Remember: good drivers are in high demand. Trucking companies are very competitive about keeping drivers who prove their worth. Some are combating the driver shortage with raises as high as 10%. If you consistently do a good job, your salary will quickly increase. Another benefit of performing well as a driver is you’ll hardly ever hear from your boss. A lot of jobs come with a micromanaging boss constantly hovering around you. They watch your every move and always have something to coach or critique you about. Not so with truck driving. If you’re a good driver, there’s nothing your boss needs to say to you. You’re free to truck how you want. It’s practically the same as being your own boss. And that’s not all. You also have no bothersome coworkers to worry about. No gossip, no work drama, just you and the open road. Granted, this type of solitude is not for everyone. But for many, it’s a welcome job perk. Do you like to travel? With most jobs, all traveling is postponed until you can take a vacation. But as a truck driver, traveling is the biggest part of the job. Actually, it’s pretty much the whole job! The transportation industry is the only industry that satisfies your need to travel while you’re working. You’ll see a lot more of the world than you would in almost any other job. You’ll drive scenic roads and visit new places. Depending on your schedule, you may even have time to check out local points of interest on your drive around the country. If you’ve got the wanderlust, don’t stay stuck in a cubicle. Take a job on the open road. Becoming a truck driver is one of the best career moves you can make. If you want all the benefits listed above, stop dreaming, start driving, and enjoy being a trucker. Now, check out Trucking Life: The Downside of Being an Owner Operator.